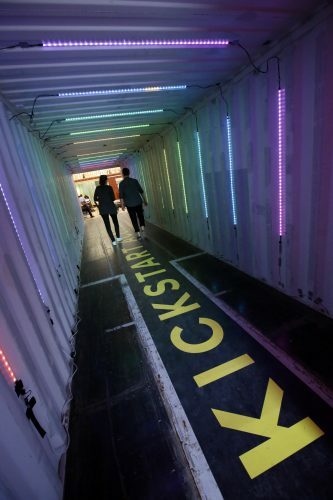 Kickstart Accelerator: We kickstart again! 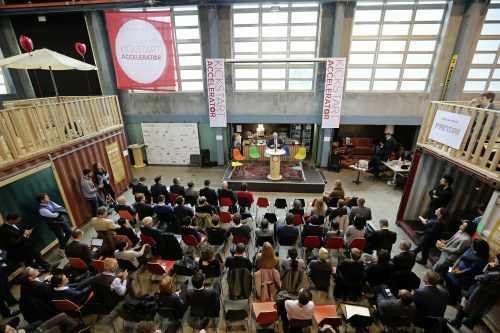 What an adventure it was last year: Impact Hub Zürich operated the Kickstart Accelerator, one of Europe’s largest multi-corporate accelerators as an initiative by digitalswitzerland. And we’re doing it again! Today the application period for the second program edition opens. 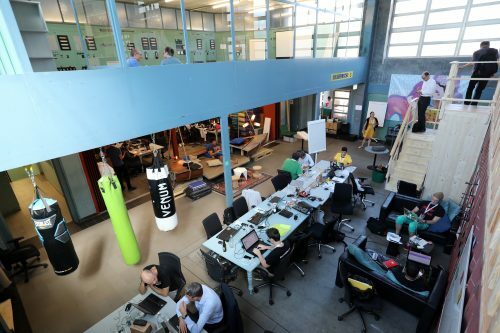 Kickstart Accelerator will select up to 30 of the most promising international startups and intrapreneurial teams, who will participate in an 11-week programme designed to help them develop their ideas and products in one of the program’s verticals: Food, FinTech, Robotics & Intelligent Systems and Smart Cities. Furthermore, in order to tap into unexplored innovation potential, Kickstart Accelerator has entered into a partnership with BaseLaunch (initiated and operated by BaselArea.swiss) to offer a healthcare-specific vertical in the life sciences hotspot Basel. Startups that have joined the Kickstart Accelerator program in the first edition in 2016 initiated six proof-of-concepts and further cooperations with corporate partners. In these trials they were able to test the application and scalability of their products in a demanding corporate environment. Also in this year`s program the startups have the chance of exploring long-term partnerships with leading corporations and the opportunity to further develop their market offering. It`s all about enabling collaboration not only between startups and corporates, but also between the startups themselves. Because innovation doesn`t happen in isolation but in cooperation! Find out more at www.kickstart-accelerator.com. FOTO: PHILIPPE ROSSIER, KICKSTART-ACCELERATOR, BESUCH VON BUNDESPRAESIDENT SCHNEIDER-AMMANN. Lidia currently works as Social Media and Content Manager at Kickstart Accelerator. She studied Advertising and Public Relations, specialising in Digital Marketing. As a constant learner, she speaks 8 languages, has lived in 7 different countries and enjoys being updated about the latest trends.